Aside from pools, sunscreen, and clothing that sticks to you, nothing says summer quite like a nice glass of iced tea. In fact, more than 85 percent of all tea poured down America’s collective throat is served over ice. In honor of National Iced Tea Day, we’ve rounded up some facts about its boozy origins, the world's largest pitcher, and the health risks of loving it a little too much. 1. IT USED TO BE FULL OF BOOZE. The ingenuity that led tradesmen in the northeast to ship ice to warmer climates in the 19th century was cause for celebration: No longer were cooler regions the exclusive home of frosty drinks. But when consumers began to pour tea over ice, they didn’t stop there—many recipes included rum, brandy, champagne, and sometimes all three. 2. THE WORLD’S FAIR LED TO A SURGE IN INTEREST. The 1904 World’s Fair in St. Louis was a landmark in pop-up public attractions: More than 200,000 people streamed in on the first day alone to view over 1500 newly-erected buildings housing advancements in art and technology. As the Fair extended into the summer months, visitors began to look for cooler drinks for refreshment. A vendor named Richard Blechynden solved his poor hot-tea sales by pouring his tea over ice. Because the exhibits attracted people from across the country, the drink’s popularity followed them back home. 3. CONSUMERS STARTED BUYING TALL GLASSES FOR IT. Iced tea’s popularity was soaring in the early part of the 20th century, but tea vendors weren’t the only beneficiaries. To aid in serving, consumers began buying tall glasses in such quantity they were known as “iced tea glasses.” They also bought long stirring spoons and tiny forks meant to spear lemons. 4. PROHIBITION HELPED IT ALONG. When America went dry—legally, at least—in the 1920s, iced tea found new advocates in bars and clubs, which needed to quench the thirst of patrons without breaking the law. 5. WORLD WAR II DREW BATTLE LINES BETWEEN GREEN AND BLACK TEA. 6. “LONG ISLAND ICED TEA” IS ACTUALLY TRADEMARKED. Fans of slurred speech know that a “Long Island iced tea” is a signal for a bartender to assemble five different kinds of alcohol and a splash of soda that winds up tasting like iced tea. While you can still ask for it anywhere you go, the Long Island Iced Tea Corporation—an actual non-alcoholic iced tea company—has taken some significant action to trademarking the label. In April 2016, the United States Patent and Trademark Office issued the company a registration on their Supplemental Register for non-alcoholic drinks—that means it could still be contested. But if it isn’t, the company might be able to shift their claim of ownership over to the boozy version at some point in the future. 7. ARIZONA HASN’T CHANGED ITS PRICE IN NEARLY 20 YEARS. 8. IT MADE SNAPPLE EXPLODE. Founded in 1972 as a hip “new age” beverage company peddling various fruit drinks, Snapple experienced steady but slow growth throughout the 1980s. From 1987 to 1992, however, sales skyrocketed from $13 million to $205 million. The difference? The company debuted a lemon iced tea flavor in 1988 that innovated a “hot fill” process, pouring hot tea directly into bottles and removing the need for preservatives. Customers noticed a difference: by 1991, 15 percent of all iced tea sales were rung up by Snapple. 9. LIPTON HOLDS THE WORLD RECORD FOR THE LARGEST SERVING. Proving there is indeed a world record for everything, Lipton served up a mammoth 12.5-foot tall pitcher of iced tea in October 2015 that Guinness marked as the largest ever dispensed. The giant-sized receptacle needed eight large bags of tea, 2204 gallons of water, and an undisclosed amount of ice. The novelty was intended to commemorate Lipton’s 125th anniversary. 10. MAKING YOUR OWN? USE COLD WATER. According to tea sommelier Cynthia Gold, brewing tea at home for chilled consumption should start with cold water, not warm, from the faucet. Cold water has more oxygen that better opens up the tea’s flavor during the boil. Gold also says to avoid richer or fermented teas, which can taste “horrendous” when chilled. 11. YOU CAN HAVE TOO MUCH OF A GOOD THING. With flavonoids reputed to resist cancer and other health ailments, tea has a reputation for being healthy. This assumes you don’t drink over a gallon of it a day. 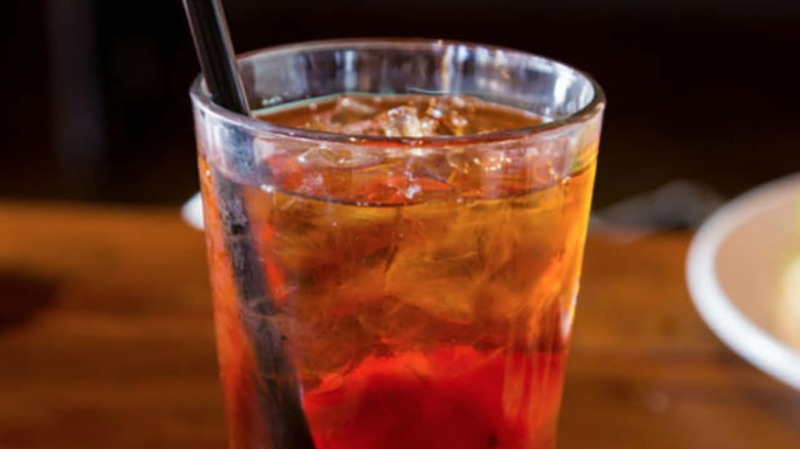 According to NBC, an Arkansas man was hospitalized with kidney failure in 2015, and after ruling out other causes, physicians fingered iced tea as the culprit: the man admitted to drinking 16 eight-ounce glasses every day. A food chemical called oxalate present in the tea has been shown to damage kidneys when taken in excess—his daily consumption of 1500 mg was between three and 10 times the average. The moral: enjoy iced tea, but don’t endanger your organs over it.